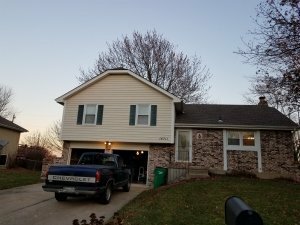 Who is kcmoHomeBuyer? 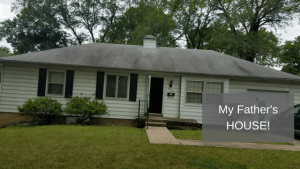 Will you really buy my house? We get a lot of questions when seller’s call us and we are going to spend some time answering those questions. 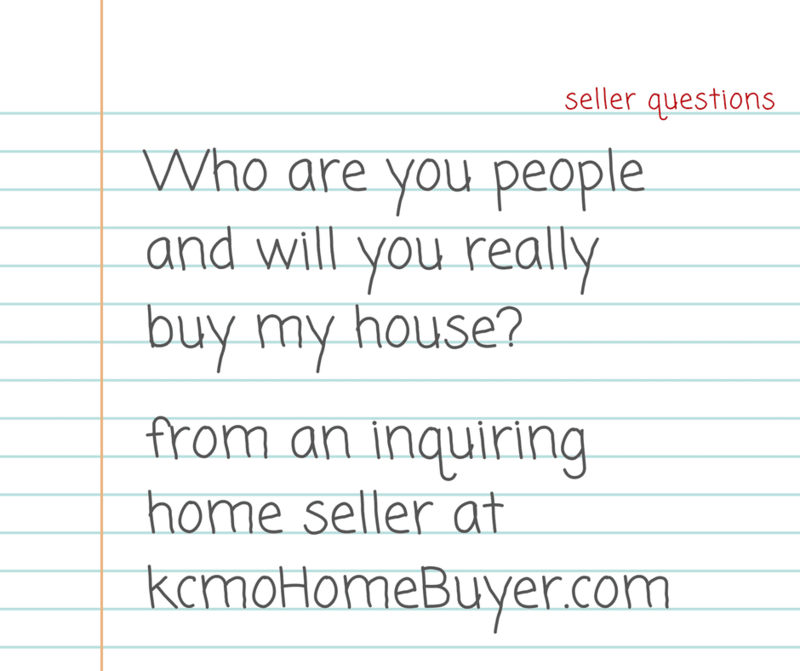 kcmoHomeBuyer is our website name but that does not really give most people the warm and fuzzy that when they call us they are talking to real people, who have the funds available, and will really buy their house . . . or their mom’s house, or their rental property. So the people behind kcmoHomeBuyer are the Tucker Family who has been buying houses across the Kansas City metro since the first house bought in 1999. Back in 1999, it was just Don Tucker out there buying houses, and then bringing in a renovation crew to get them all fixed up and then resold to provide a new home to a new owner. Then in about 2001, Don’s wife Kim joined the team as the Realtor who listed the fixed up houses and helped hunt for houses to fix up. 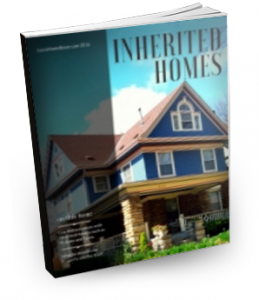 In about 2004, they discovered the joys of the internet and the website kcmoHomeBuyer.com was born. Over the years after buying and selling 100’s of houses, in about 2004, friends and family members started coming to the Tuckers and offering up their life savings to use as funding to buy and fix up all these houses every year in exchange for a better interest rate than the bank would give them. So since 2004, we have not used a bank loan, but rather funding from our friends and family, which means we can pay all cash without the hassle of appraisals and bank loan approvals. We look at a house, we make an offer, and on the day of closing one of our friends or family members wire in the money needed. In about 2011, our Son Scott was facing a job market after graduating from KU that was less than accommodating. Not many places were hiring, so he came to work for us. Since that time we have had a new organizational chart that puts Scott as the face of kcmoHomeBuyer. If you call in, you will probably be talking with Scott. Scott is our buyer, he will come look at your house, he will crunch the numbers and he will make the offer. He can also look at your situation and because he is a licensed Realtor in KS and MO he can discuss options for listing your property. He does not take on many listings, but when he does, he takes the time to market them properly. He is a KU Grad, Foodie, Married and lives in Blue Springs. Don is now our guy in charge of the repairs. When there is a major repair item, Scott will usually call on Don to help him crunch numbers and then Don organizes all the contractors to make sure everything gets cleaned out and fixed up. He is a Die Hard Royals Fan and loves sports of all kinds. He has lived most of his life in Kansas City with a brief time in younger days in Cape Cod of all places, many years in Denver and the past 20 in Shawnee. Kim is in the back office, writing blog posts like this one and sending out letters. So if you find us on the internet, that is because of Kim’s efforts and if you get a letter, Kim probably sent it out. After graduating from K-State, yes we are a house divided, Kim spent 20 years working as a retail store manager and joined Don in Real Estate after growing tired of the ungodly hours retail managers work. After 20 years in Shawnee, she and Don just recently relocated to the Lake of the Ozarks, however, you will find them both in Kansas City quite often for family gatherings, business meetings, and sporting events. The Tucker’s also own and manage Mid-America Association of Real Estate Investors a trade association for Real Estate Investors that maintains standards and offers training for local real estate investors. If you want to learn more about us, you can find us on Facebook and quietly stalk us for a while online before you send us your property. Will we really buy your house? 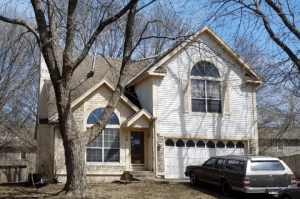 When you are ready to learn more about selling your property to kcmoHomeBuyer, please click here to tell us about it. Scott will discuss your options, come and take a look and make you an all cash offer. And if you would rather just list your house the traditional way, we can help you with our Sister Organization Realty Resource.